Creating Engaging UIs with Storyboard. Join Crank Software Vice President, Jason Clarke, as he provides an overview of Storyboard 4.x for users new to Storyboard, and a look at recently added features for experienced Storyboard users. Supporting iterative and collaborative GUI design, Storyboard gives development teams a flexible platform and toolkit that allows them to share workload and design tasks, while maintaining a tight focus on a cohesive and beautifully integrated end product. With a design environment that's easy to learn and use, teams can be productive from the start, saving time and costs, and delivering better UIs in less time. See demos that showcase Storyboard's intuitive designer-focused workflow, collaborative features for team-based development, support for iterative design with Photoshop file re-import functionality, and more. 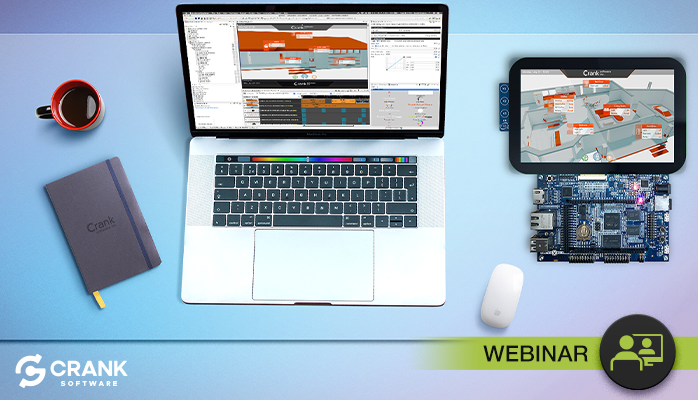 See how to build your next embedded UI on the i.MX RT1060 with Storyboard Lite.